Sarah Siedentopf is an Atlanta estate and probate attorney who helps individuals and families throughout Georgia with wills, trusts, end of life planning, probate and strategies for avoiding probate. She is particularly passionate about helping clients navigate complicated, emotional issues and making the process as easy and stress-free as possible. Sarah understands how important it is to maintain communication with her clients. People are entrusting her with a very significant part of their lives, and accordingly, they should stay involved throughout the process. 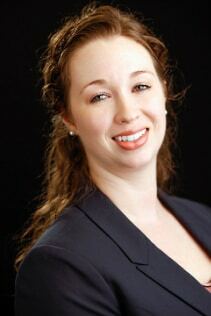 Sarah makes it a priority that clients are always informed about what is happening in their cases. Licensed to practice law in both Georgia and Tennessee, Sarah earned her law degree from the University of Tennessee College of Law and practiced in northern Virginia before opening her own estate planning law firm in Atlanta, Siedentopf Law. The firm’s office is conveniently located in the Brookhaven/Buckhead area of Metro Atlanta. When Sarah is not helping her clients or volunteering within the Atlanta legal community, she enjoys cracking open a good book, spending time with her dog and challenging her husband to a board game. The work that the Atlanta Community Food Bank does is so important in addressing hunger locally. Along with working to feed the hungry in and around Atlanta, their amazing Kids In Need program helps teachers in underprivileged school districts collect much-needed school supplies for their students. Best Friends Animal Society is near and dear to our hearts, as this is where Sarah found her furry four-legged friend. As part of the nation's largest no-kill animal sanctuary, the Best Friends Animal Society in Atlanta works tirelessly to ensure as many animals as possible find loving forever homes.